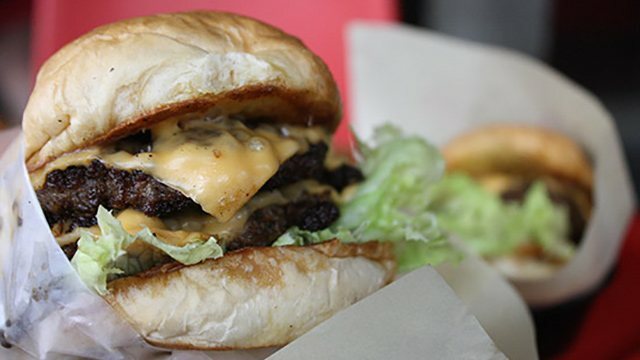 (SPOT.ph) Easily one of the standouts at The Grid, Power Plant Mall's food hall, is the Lobster Roll by Bun Appetit—but just in case you're in the mood for something a little different, you can get their sweet, tender lobsters in a new form. Bun Appetit has teamed up with PizzaExpress to create the Lobster Chowder Romana (P895) pizza, available at PizzaExpress until April 21. 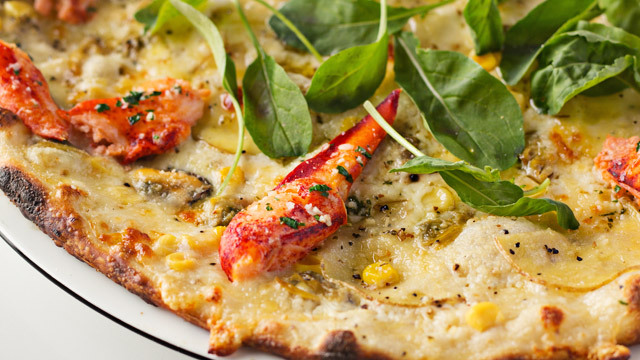 PizzaExpress turns chowder into a pizza with the Lobster Chowder Romana. 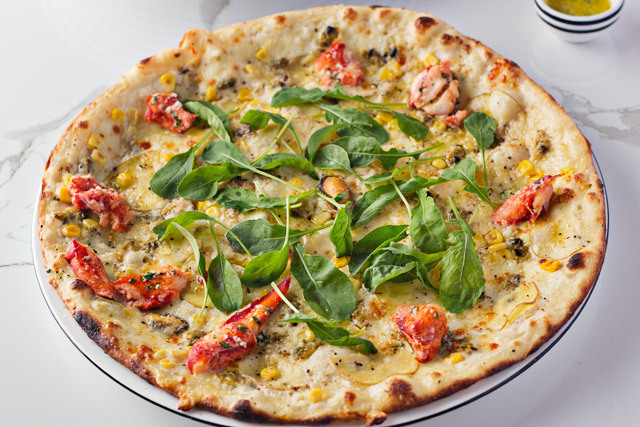 The pizza starts with a thin and chewy Romana crust, which is then topped with elements of a lobster chowder: Bacon, potato slices, corn, arugula, a rich bechamel sauce, and of course, generous chunks of fresh, tender, and sweet lobster—a slice of this is the ultimate indulgence. 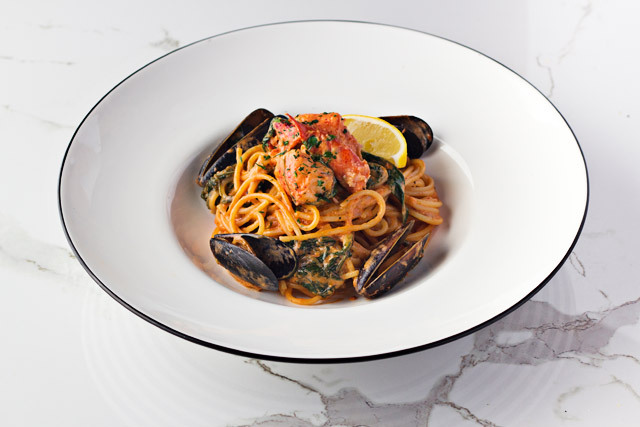 The Lobster Pomodoro Cream also comes with fresh mussels. Aside from the Lobster Chowder Romana, you can also get you lobster in pasta with the Lobster Pomodoro Cream (P695), with al-dente spaghetti swimming in white wine sauce, cream, and tomatoes together with spinach and lobster chunks. 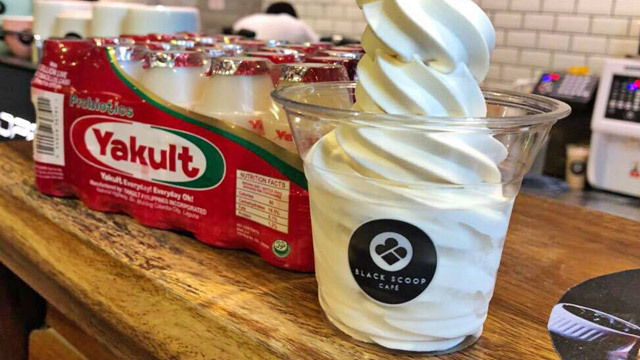 See a list of PizzaExpress branches.